Peer to peer lending is a new and exciting industry that many people are starting to take advantage of for funding college, weddings, cars, down payments on real estate or to just pay down other debt. The real draw for many people is that the loan originates from average ordinary people and not some too big to fail bank that will harass you a week after your payment was due. For many people, this is a good way to both get money and make money while helping others. In the peer to peer lending space there are really two major players. The first is called Lending Club and the other Prosper. Over the course of this article, I will explain how each is similar and different in their offerings and requirements. Both allow for personal loans from $2,000 to $35,000. If you need more than this, these lenders won’t be able to help you. There is a similar application process for both where you need to verify personal information, provide financial documents and have a credit check done. Both lenders charge a closing fee of about 5% as of this writing. That means you need to account for that in your loan request. If you need $5,000, you need to ask for more than that so that the correct amount is left over after the fee is taken out. Loans are funded by real people. You set up a loan request with your basic info, why you need the loan and any other relevant information. People then add funds to your request and your loan gets executed once your request is fully funded. Prosper and Lending Club compete on interest rates they charge on their loans. These fluctuate over time, so keep an eye on them to see which is lower at the time that you’re looking to get a loan. Prosper funds loans 2 days faster (4 days versus 6 days for Lending Club). This is measured from the time the loan is approved to the time it takes for the money to hit your account. If you have excellent credit, Lending Club offers discounts to the origination and closing fees. Prosper is available to borrowers in more states than Lending Club. At the end of the day both providers are excellent. You may have a situation that would make one win over the other. For instance, if you needed money faster, Prosper would work better for you because of their quicker turnaround time. If you have very good credit, you might choose Lending Club because of their discounts on origination and closing fees for borrowers with great credit. It all depends on your situation. 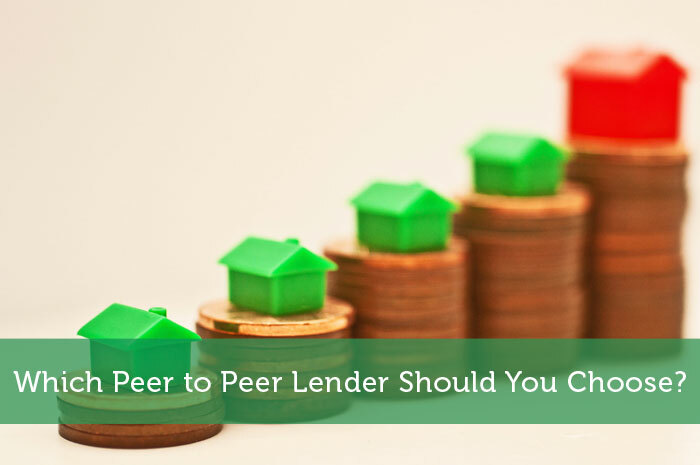 Peer to peer lending is growing in popularity and is sure to continue to expand into even more states for borrowers. With the standard bank loan application process becoming such a nuisance and the banks unwillingness to lend, Prosper and Lending Club are providing a much needed service to fill the gap in lending that the banks are refusing to fill. I like that there are many lending options for people to use, when in need. The more they are, the better deals we actually get. Peer lending seems to fill a niche for small loans. I wonder, do people who apply for these loans have to put up collateral? I have lent from Prosper, which is available in Miami. Based on experience, this is a good source to borrow money. I got my money in just two days. Very efficient!